2016 was a year of significant development and we are expecting more investment and activity in 2017. Here’s a snapshot of what’s coming. In 2017, BRIDGE Housing will begin construction on the second phase of the Marea Alta development, which will include 85 senior apartment units. Development at the San Leandro Tech Campus is also continuing with Westlake Urban planning to break ground on the second office building later this year. 200 units of multi-family housing are also being proposed for the south end of the site. Pending approval, construction of the residential development could begin next year. 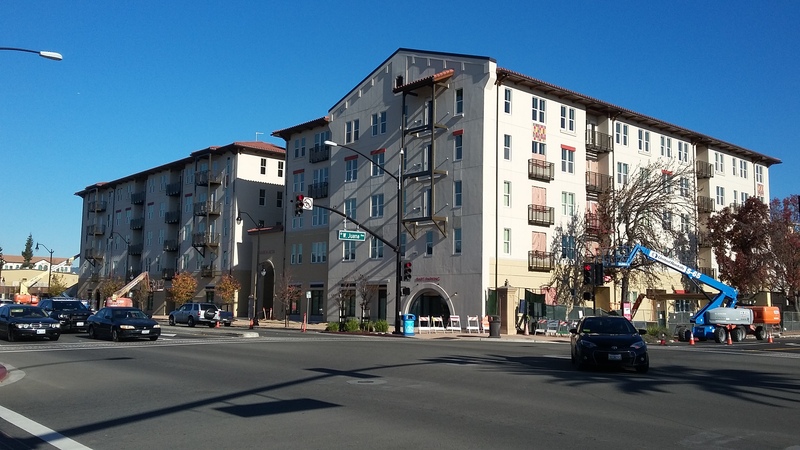 Downtown San Leandro is proving to be a strong office market and plans are underway for a fourth building at Creekside Plaza. The developer, Innisfree Ventures, is also looking to redevelop the properties on the west side of San Leandro Boulevard, north of Wendy’s, into retail and office uses. Sansome Pacific is making good progress at the former CVS site at East 14th St. and Davis/Callan Sts, and we are optimistic that plans for a mixed-use project with ground floor retail (including a specialty grocery store) and more than 150 housing units will be submitted for review and approval this Spring. Having finally prevailed in our battles with the State over the elimination of redevelopment agencies, the City has placed three opportunity sites on the market. The Town Hall Square site includes multiple parcels zoned for mixed use development at the northwest corner of E. 14th and Davis. There is significant developer interest, as the site allows for retail, residential, and/or office uses at a key Downtown intersection. The vacant parcels at Parrott & Washington are also being sold for mixed residential and retail development. The final opportunity site is the Old Fire Station #11 along Marina Blvd., east of Doolittle Dr. Click here to learn more about the Request for Proposals (RFP) process. Work on the Shoreline Development Project, which includes restaurants, a hotel, pedestrian and bike pathway and enhanced recreational amenities, will continue with the City and Cal-Coast developing designs and working with the Bay Conservation and Development Commission on entitlements. Washington Ave. and Thornton St.
San Leandro Blvd. and Thornton St.
MacArthur Blvd. and Herma Ct.
Alvarado St. north of Marina Blvd. The City is encouraging development of additional housing as an important tool for addressing housing affordability. We are hopeful to support developers in bringing more than 1,000 units to the market in the next several years. 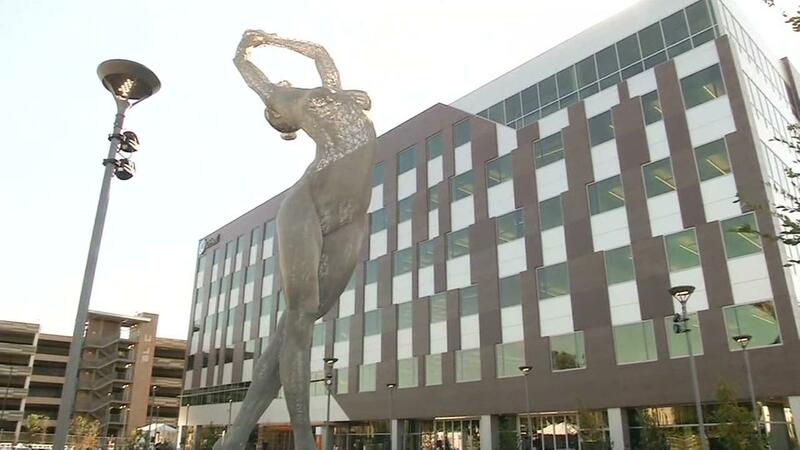 In keeping with the San Leandro’s Next Generation Workplace Study, the City is working on several projects that will bring additional food, entertainment and amenities to workers and visitors in the industrial area. With the help of Urban Bloc, we are working to bring a container park with shipping containers converted into venues for coffee, food, and entertainment, to the area of Doolittle Dr. and Williams St. We are also working with 21st Amendment and Drake’s Breweries to build an Ale Trail, providing an artistically-enhanced pedestrian path between our top brewers. More info to come as these projects develop. In the coming year, San Leandro will see a number of proposals for redevelopment of existing industrial sites, representing over one hundred million dollars of investment in the community. 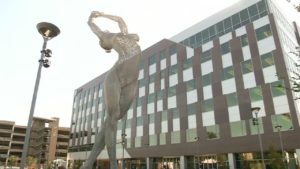 With a strong business climate, easy highway, port, and airport access, and a good employment base, industrial businesses find San Leandro a great place to locate. This is reflected in very low industrial vacancy rates consistently around 1%. The 161,000 square foot Comstock Industrial Center is completing construction at 2388 Williams St. (west of Doolittle Dr.) and actively seeking tenants. Major improvements are being made to the 306,000 square foot former Sears building at 1980 West Avenue 140th (south of Fairway Dr. and Merced St.). 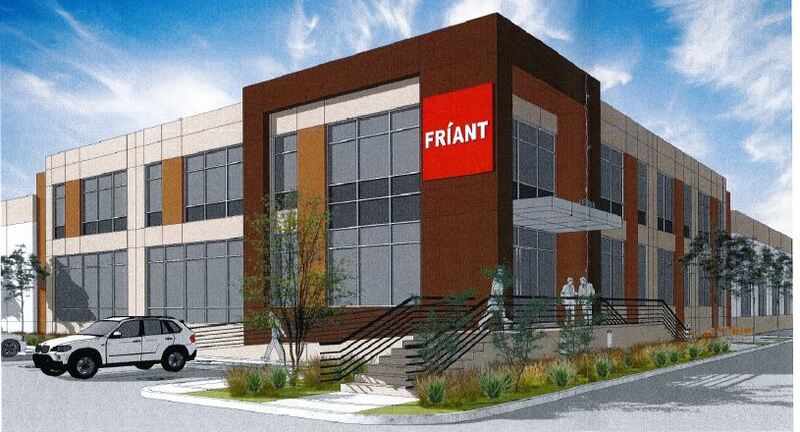 The site will be t he new headquarters of East Bay custom furniture manufacturer, Friant, which will bring over 150 jobs to the City. A smaller Sears outlet will remain at the site. A new industrial development is also proposed for the 13 acre site at 2101 Marina Blvd (former Georgia Pacific plant), which will have the ability to accommodate a variety of industrial uses, including advanced manufacturing, food manufacturing, and research and development. The project will include street widening and landscaping to improve the visual appearance along Marina Blvd. The largest site being redeveloped is the 30 acre former Kraft/Yuban coffee plant facility at Halcyon and Washington Ave. Three buildings including over 500,000 square feet of Class A industrial space are proposed. Details are being finalized and planning entitlements are scheduled for a public hearing in the months to come. New industrial developments are also proposed at Aladdin Ave. & Alvarado St. and along Williams St.
Ross – Dress for Less will open its new San Leandro location at the Westgate shopping center this spring. style franchise with dishes ranging from Chinese to Thai, Indian to Malaysian, and Filipino. Angelina’s Pizza has also just reopened at 485 East 14th under new management, offering pizzas with a Mexican twist. Hawaiian Poke Bowl will be opening soon at 579 Floresta Blvd., serving fresh seafood and other Hawaiian-style foods. 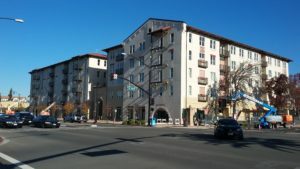 Having noticed San Leandro’s thirst for craft beer and fine wine, new local specialty beverage retailers Cordial Bottle Shop, at 1111 MacArthur Blvd, and Gourmet Cellar, located at 2150 Washington Ave, have both programmed free tastings at their locations, providing a great opportunity for neighbors to get together and try new products. Newly opened, As Kneaded Bakery offers artisan breads, available for purchase at Estudillo Produce & Deli on Thursdays, Fridays, and Saturdays, or via a unique subscription service on its website. New and exciting restaurants are also in the works in the vacant locations at 855 MacArthur (Top Hatter), 599 Dutton Avenue (at Bancroft Ave), 1376 E. 14th Street (former Thai Satay), 197 Pelton Center Way, 13505 E. 14th Street (former taqueria), and 15015 E. 14th Street (former Pring’s). Original Mural Art will be arriving at four locations throughout the City. Argentinian muralist Pastel will create a large mural of 1605 Abram Court on the highly visible wall facing I-880. San Francisco artist Kelly Ording has been commissioned to install a new work on the westward-facing wall of 14995 Farnsworth Avenue, and Oakland artist Troy Lovegates will install original art celebrating San Leandro’s industrial workers on the north-facing wall of 1800 Merced Street. An additional mural will be installed at the Downtown BART station within the next several years. Over the next several months, a significant number of utility boxes will receive artistic treatment. 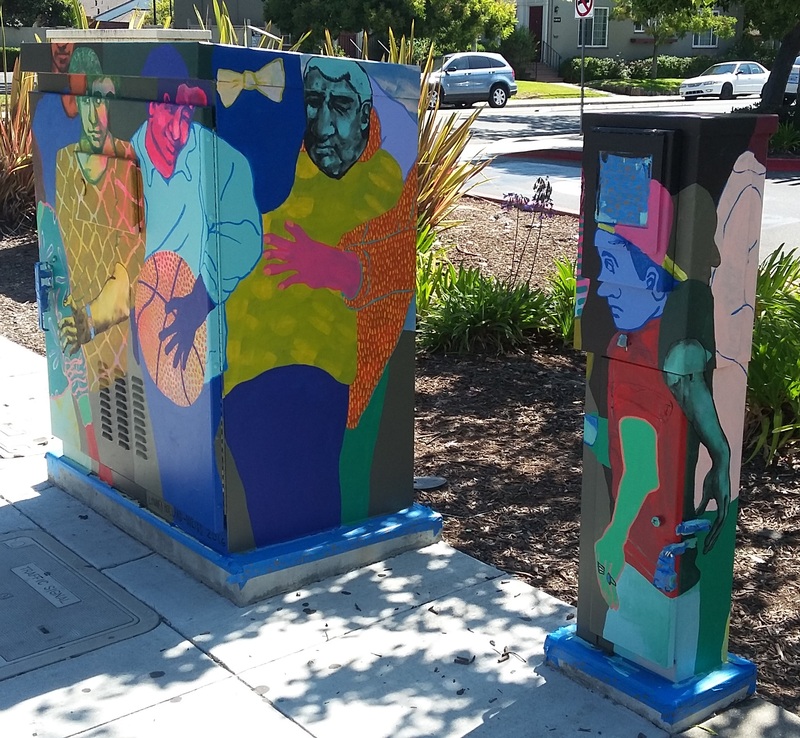 Ten boxes were painted in the late summer of 2016, and the remaining 14 boxes will receive mural wraps, culminating in a total of 41 beautified utility boxes since the program’s initiation in 2015. Significant investment is also being made in infrastructure and beautification along the northern portion of East 14th Street. Construction continues for AC Transit’s Bus Rapid Transit (BRT) project which will provide more frequent bus service along International Boulevard and East 14th from Oakland to the San Leandro BART Station. Special care has been taken to design artistically enhanced stations, with dahlias and poetry decorating San Leandro stations. Funding has also been secured for new pedestrian lighting and streetscaping along the northern portion of East 14th St. to improve the appearance and walkability of the corridor in the coming years. We look forward to another busy year, with great opportunities coming for new businesses, new housing, and new amenities in San Leandro in 2017. Stay tuned for updates throughout the year! How can I take part in and voice suggestions during the planning phases of new developments near my home? We need good quality retail in San Leandro. Shopping mall is in bad shape. Hope to see mall like walnut creek. All the development sounds amazing. Please remember to consider how traffic will be handled with the downtown development on East 14th and San Leandro Blvd. A red light is needed at San Leandro Blvd and Park street, and all areas where we will increase pedestrian traffic the speed limit should be lowered to 15mph. Would like to see the Floresta area, near Living Spaces updated (Washington and Floresta). Has alot of potential for nice restaurants and upgraded grocery stores (maybe a Sprouts or Trader Joes) and/or Starbucks or Peets Coffee. I hope San Leandro would focus more in improving the School systems instead. Currently, the Elementary, Middle, and High schools are ranked too low. I love to move my family to San Leandro because it’s proximately to SF and Silicon Valley, and the housing price is still cheap but the school system is so bad.